As the owner or CEO of a mid-sized business, you make many decisions that impact the future direction and success of your company. These range from relatively small and non-critical decisions like choosing a janitorial or catering service provider to much bigger and more consequential decisions like hiring executives and choosing which new markets you will enter and product lines you will launch. Another important business decision you must make is deciding which accounting system your company will use. This decision is complicated by the fact that there are so many different options to choose from today. But the consequences of your decision could have a significant impact on your business’ future — because making the wrong choice could result in several potential negative impacts. § Customer support can sometimes be an issue with lower cost off-the-shelf accounting systems. Simply put, you can’t always count on getting the level of support you might need from these accounting system vendors. § That said, expensive ERP systems may require extensive professional knowledge and programming to operate, thus increasing their operating cost. § Regardless of which type of system you choose, make sure that the system will have the scalability to grow as your business grows. § It may lead to a lack of ability to add sufficient department and divisional reporting, which can result in financial information that is not useful to your operating managers. § Smaller companies with minimal resources may not be able to afford both the expense and the resource commitment required to implement a full-blown ERP system. § A finance department needs to have its financial accounting and planning systems up and always running, so the lack of customer support for off-the-shelf packages can disrupt financial operations. § Off-the-shelf accounting systems may lack some basic functions like fixed asset management, which can lead to having to use disparate systems. An outsourced CFO services provider can offer valuable assistance in helping you choose the right accounting system for your business. Having worked in a variety of different types of organizations, this financial professional will bring significant experience with both off-the-shelf and ERP accounting systems to the table. 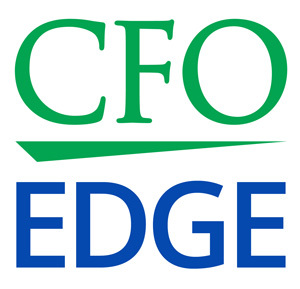 This experience will equip the outsourced CFO with a solid understanding of the right type of system for your organization. For example, if an ERP system is chosen, the outsourced CFO will have the ability to maximize all the components of the system, thus ensuring maximum ROI. The outsourced CFO will possess both a technical and operational understanding of your company and its financial needs (such as reporting, financial planning and accounting), which will result in optimal use of the accounting system that’s ultimately chosen. § Your company will end up with the right accounting system at the lowest possible cost. § The system will be more capable of meeting all your company’s financial and reporting needs. § The financial professional will be able to maximize ROI from a more integrated and potentially expensive ERP system, if that’s what you choose. § Ultimately, you will enjoy an optimally designed system that is most effective in meeting your company’s reporting needs. One of the most important business decisions you must make is deciding which accounting system your company will use. This decision is complicated by the fact that there are so many different options to choose from today. However, the consequences of your decision could have a significant impact on your business’ future. An outsourced CFO services provider can offer valuable assistance in helping you choose the right accounting system for your business.